John Walker is an English chemist who was one of the co-recipients of 1997 the Nobel Prize in Chemistry. Check out this biography to know about his childhood, life, achievements, works & timeline. John Walker is an English chemist who was one of the co-recipients of 1997 the Nobel Prize in Chemistry. Along with Paul Boyer, the fellow co-recipient of the Nobel Prize, he is credited for the elucidation of the enzymatic mechanism underlying the synthesis of adenosine triphosphate (ATP). Boyer and Walker together discovered the way life forms produced energy. 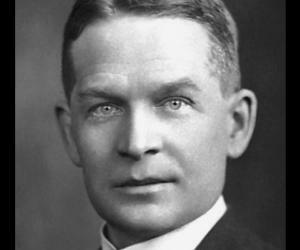 While Boyer was involved with how ATP synthase worked, Walker is credited for using X-ray crystallography to determine the structure of ATP synthase. 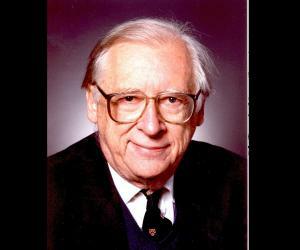 A postdoctoral fellow at the University of Wisconsin and later at the French National Centre for Scientific Research, Walker attended a research workshop in 1974 in Cambridge that changed the course of his career. On the insistence of Fred Sanger, Walker joined the University of Cambridge in the Medical Research Council's Laboratory of Molecular Biology (LMB) for a trial three month basis. The appointment eventually turned into a two decade long association, transforming Walker’s scientific career completely. Following his research, Walker started applying protein chemical methods to membrane proteins. He began the structural study of the ATP synthase from bovine heart mitochondria and from eubacteria, the results of which gave new insight as to how ATP is made in the biological world. 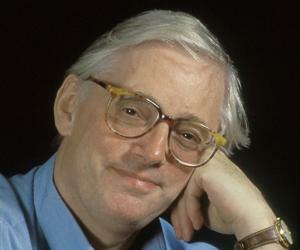 John E Walker was born on January 7, 1941 in Halifax, England to Thomas Ernest Walker and Elsie Lawton. His father was a stonemason while his mother was an amateur musician. He had two younger sisters. He gained his early education from Rastrick Grammar School, where he specialized in physical science and mathematics in his last three years. While at school, he captained school’s soccer and cricket teams. Following his preliminary studies, he enrolled at the St Catherine’s College, Oxford in 1960. Four years later, he gained his Bachelor of Arts degree in Chemistry. In 1965, John Walker began his research on peptide antibiotics with EP Abraham at Sir Willian Dunn School of Pathology, Oxford. Four years later, he was awarded D Phil degree in the subject. While researching on peptide antibiotics, Walker keenly followed John Kendrew’s hosted television programmes that publicized the remarkable developments made in the field of molecular biology during the 1950s and early 1960s. The details of the research in the field were later published in the book ‘The Thread of Life’ in 1966. Deeply influenced by Kendrew’s television show and the book, he went on to broaden his knowledge and understanding of molecular biology. He did this by reading books, including JD Watson’s ‘Molecular Biology of the Gene’ and William Hayes’ ‘Bacterial Genetics’. He also briefed himself in the subject by attending lectures of David Phillips, professor of molecular biology in Oxford, on protein structure and Henry Harris, professor of pathology, on nucleus and cytoplasm. Walker studied abroad for five years. From 1969 to 1971, he studied at the School of Pharmacy at the University of Wisconsin and later from 1971 to 1974, in France. He was supported by fellowships from NATO and EMBO, first at the CNRS at Gif-sur-Yvette and then at the Institut Pasteur. In 1974, Walker attended a research workshop in Cambridge titled ‘Sequence Analysis of Proteins’. The workshop was jointly organized by Ieuan Harris from the Medical Research Council's Laboratory of Molecular Biology (LMB) and by Richard Perham from the Cambridge University Department of Biochemistry. It was at the workshop that Walker first met Fred Sanger. Upon Sanger’s suggestion, Walker approached Ieuan Harris and proposed about joining the latter’s group. 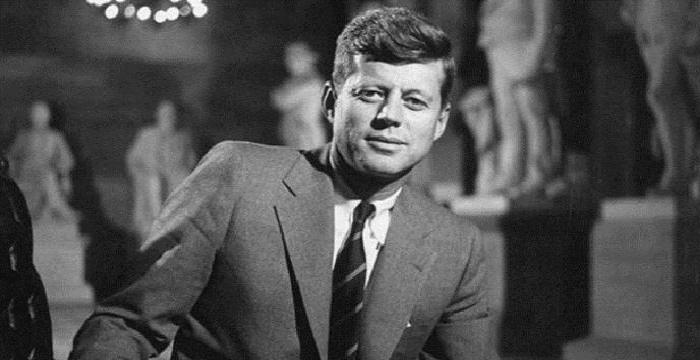 He was eventually absorbed in the Protein and Nucleic Acid Chemistry (PNAC) Division at the Laboratory of Molecular Biology of the Medical Research Council for three months from June 1974. What started on a trial basis eventually turned into a full time appointment that carried on for more than two decades, transforming Walker’s scientific career completely! When Walker stepped into LMB, the laboratory had prominent scientists working under it, including Max Perutz, Fred Sanger, Francis Crick, Cesar Milstein and so on. 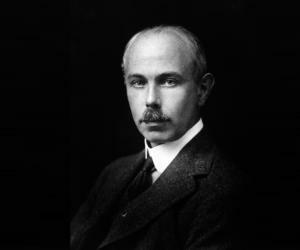 Walker’s profile included analysing the sequences of the proteins from G4 and from mitochondria using direct methods. While analysing the sequences of protein, Walker discovered triple overlapping genes in G4 where all three DNA phases encode proteins. 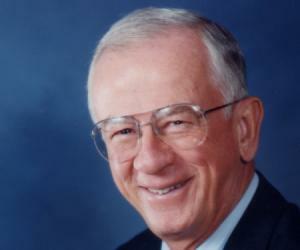 In 1978, Walker applied protein chemical methods to membrane proteins. He found out subunits I and II of cytochrome c oxidase were encoded in the DNA in mitochondria. Eventually, he uncovered details of the modified genetic code in mitochondria. In addition to applying protein chemical methods to membrane proteins, Walker began the structural study of the ATP synthase from bovine heart mitochondria and from eubacteria. It was this study that eventually resulted in a complete sequence analysis of the complex from several species and in the atomic resolution structure of the F catalytic domain of the enzyme from bovine mitochondria, giving new insights into how ATP is made in the biological world. Walker’s atomic resolution structure supported the binding change mechanism and rotary catalysis for the ATP synthase, one of the catalytic mechanisms proposed by Paul Boyer. The work done by Walker was later published in 1994, which led to his share of the Nobel Prize in Chemistry in 1997. Over the years, Walker and his colleagues have produced most of the crystal structures in the PDB of mitochondrial ATP synthase, including transition state structures and protein with bound inhibitors and antibiotics. Scientists trained in Walker's group at the MRC Laboratory of Molecular Biology in Cambridge or MRC Mitochondrial Biology Unit have gone on to determine crystal bacterial complex I and cryo-EM maps of mitochondrial complex I and vacuolar type ATPases. In 1998, he was appointed Director of MRC Dunn Human Nutrition Unit at Cambridge. In 2009, the unit changed to Mitochondrial Biology Unit focussing on the mechanisms of energy conversion in the mitochondrion and on the role of that organelle in human health and disease. Till date, he serves as the Emeritus Director and Professor at the MRC. John Walker’s most important contribution came during the latter half of the 1970s when he started applying protein chemical methods to membrane proteins. He next began the structural study of the ATP synthase from bovine heart mitochondria and from eubacteria. It was this study that gave new insights into how ATP is made in the biological world. 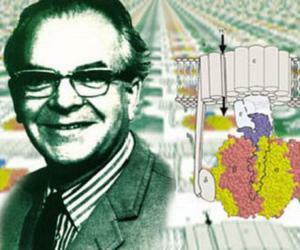 His work supported the binding change mechanism and rotary catalysis for the ATP synthase, one of the catalytic mechanisms. Together with Paul Boyer, Walker elucidated the enzymatic mechanism underlying the synthesis of adenosine triphosphate. In 1959, Walker received the AT Clay Gold Medal. In 1994, he received the Johnson Foundation Prize by the University of Pennsylvania. In 1996, he was presented the CIBA Medal and Prize of the Biochemical Society, and the Peter Mitchell Medal of the European Bioenergetics Congress. In 1997, Walker was conferred with the prestigious Nobel Prize in Chemistry for elucidating the enzymatic mechanism underlying the synthesis of adenosine triphosphate (ATP). He shared his half of the prize with Paul Boyer. In 1999, Walker was knighted for his services to molecular biology. In 2012, he was awarded the Royal Society’s highest honor, Copley Medal for his outstanding contribution in the field of biochemistry and molecular biology. Walker married Christina Westcott in 1963. The couple is blessed with two daughters, Esther and Miriam.